Summer can’t come soon enough. 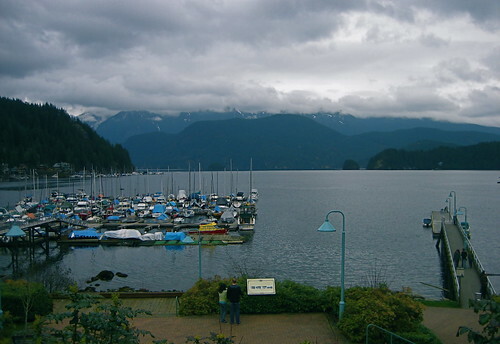 I drove up to Deep Cove on the easternmost tip of North Vancouver but, as you can see above, the weather wasn’t very good. My first shot at kayaking will have to wait for a warmer, sunnier day. 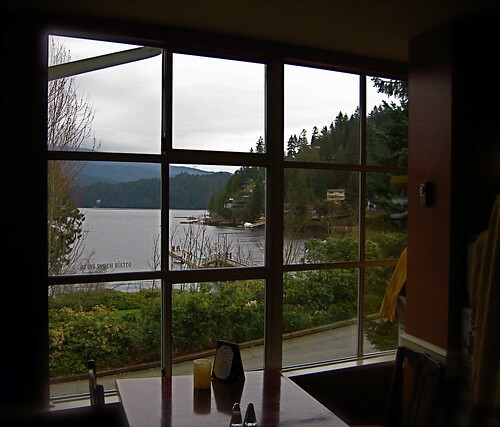 Thankfully, the short trip was not entirely pointless as I had a nice lunch at Arms Reach Bistro, a charming little restaurant located a stone’s throw away from Deep Cove’s shore. 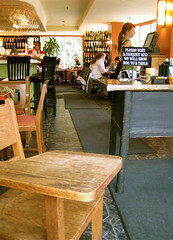 Inside, the restaurant is refined yet cozy. Despite the poor weather, the restaurant was packed for lunch. Wooden classroom school desks await patrons waiting for a table: cute. 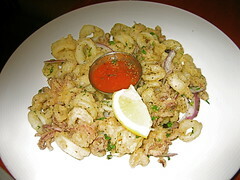 My girlfriend and I shared 2 dishes: fresh fried calamari served with spicy marinara ($8) and oven-baked spaghetti ($12). Both were presented clean and simple. Both tasted great: fresh, delicate, and tasty. 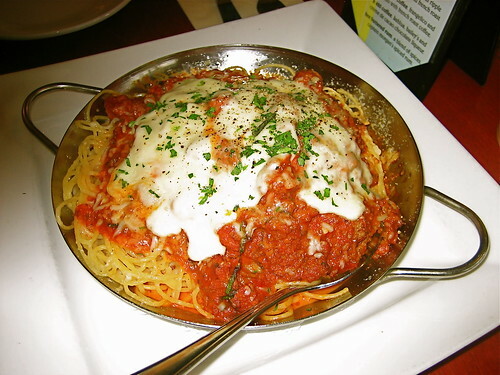 I especially enjoyed the melted handmade bocconcini atop our spaghetti. 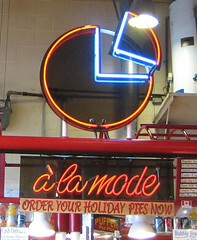 The prices are very reasonable and the service was super friendly. 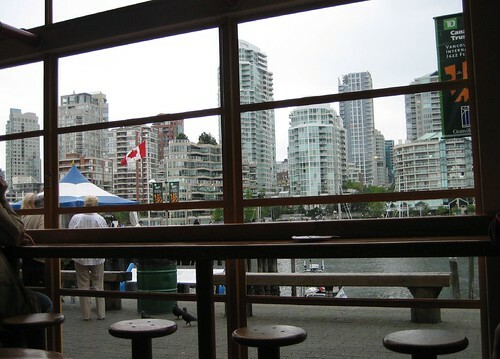 The tasty food complements the great view, and the two combine to create an incredibly relaxed dining experience. 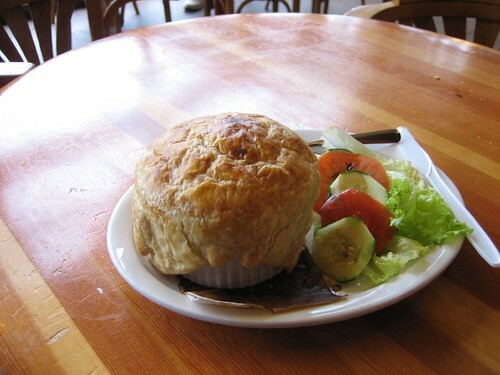 I can’t wait to return and sample other dishes on their menu. 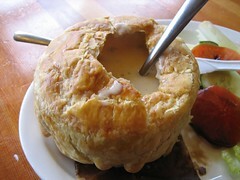 Assuming I don’t drown, the food is going to taste even better after a sunny day of kayaking. Have you ever had one of those days where you just never seem to fully wake up? I was experiencing one of those on this grey Thursday morning. 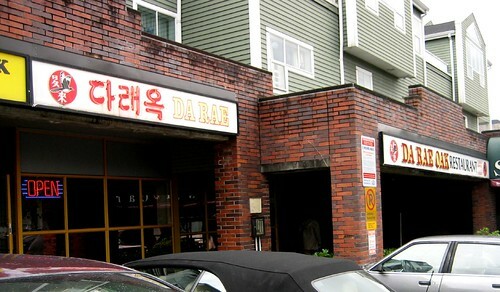 Luckily, a walk to nearby Da Rae Oak Restaurant (located at 3510 Kingsway) for a Korean lunch spiced up my day. Da Rae Oak’s interior is really bland and didn’t warrant a picture, but the food here is consistently good and well-priced, especially compared to other Korean restaurants in Vancouver. One thing I love about Korean restaurants are the complementary appetizer-like dishes they serve up. These dishes are called Banchan (the most common type of Banchan is Kimchi of course). The waitress brought them out quickly so that we could snack on them before the main dishes arrived. The first dish we ordered was a Seafood Pancake ($13.90). 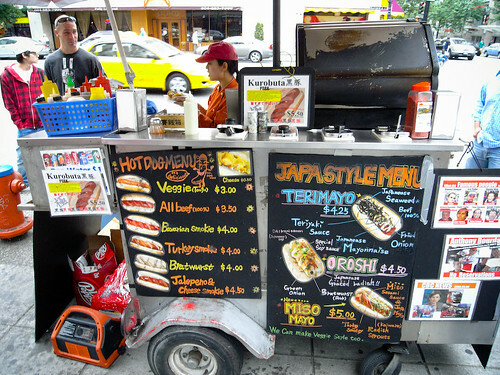 IHOP‘s got nothing on this. 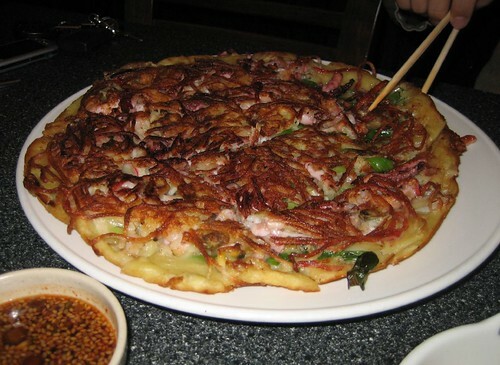 This gigantic pancake consists of various types of seafood, scallions, batter, and crispy potatoes. 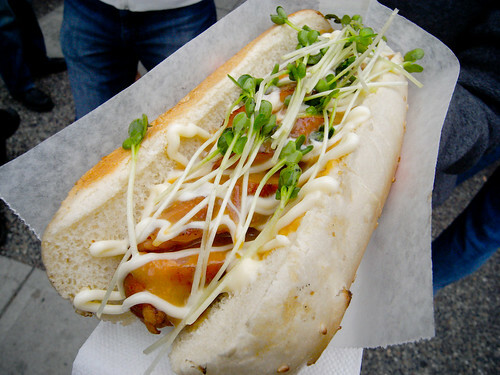 It’s very delicious and filling. 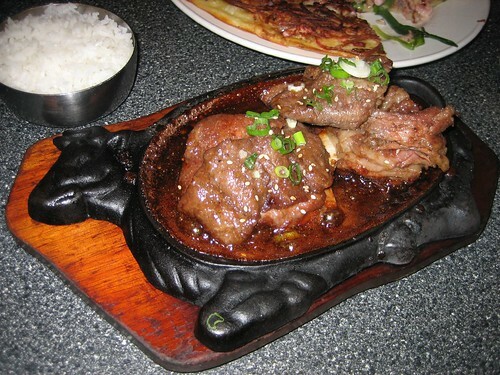 We also ordered beef short-ribs bulgogi, served with a bowl of rice ($12.90). 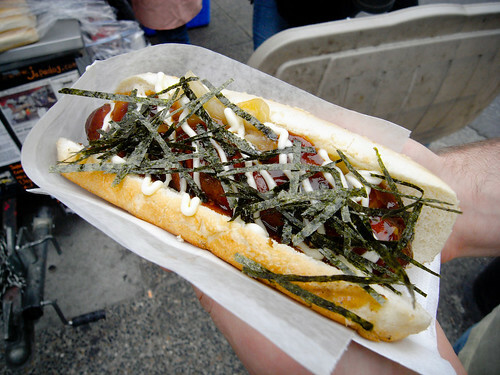 Koreans really know how to marinate! The meat was sweet, tender, and tasty. It complemented the salty seafood pancake nicely.If you want the full Korean experience, Da Rae Oak might not be the best place to visit: the chopsticks here aren’t even made of metal. But if you just want some great, affordable Korean food, I would highly recommend it. Full from the tasty Korean lunch, I was ready to go back to slacking for the rest of the afternoon.